Should Women Tennis Be Paid Same Prize Money as Men ? 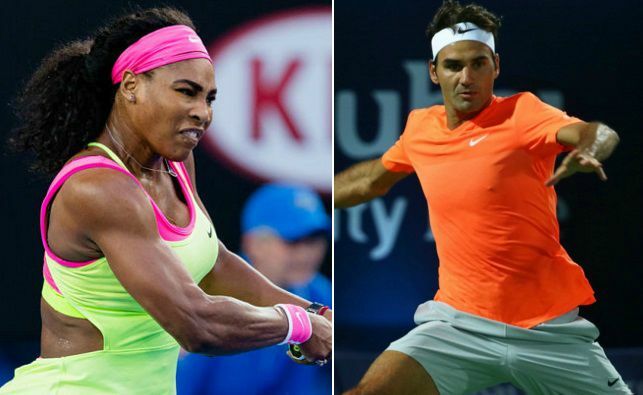 Federer the greatest men player has earned around $100 milion in prize money winning 17 grand slams, while Sareena williams has earned $75 million winning 21 slams. At the all four tennis grand slam events women tennis players are paid the same prize money as their men counterparts and this has been the case for best part of last 10 years as far as all four grand slams are concerned. US Open was the first high profile tennis event which started paying the same prize money for both men and women back in 1973 when group of women tennis players lead by “Billie Jean King” fought for equal pay and they succeeded in convincing US Open authorities to have the equality pay model. 43 years down the line all four tennis grand slams are the highest paid individual sport events in the world. Every year in last at-least 5 year each of the four grand slams has increased their yearly total prize money pool. As we speak US Open is the highest paid grand slam of the four with around $42.3 million in prize money pool while Wimbledon is close second with £26.75 million ($42m). But with every grand slam the debate resurface about should the women be paid the same prize money as men ? we try to put this argument to rest. Before we get into the arguments lets take a look how long it took for each grand slam to establish equal pay model. US Open – 46 years ago Back in 1973 US Open became the first grand slam to pay equal prize money. It was the first instance in any of the high profile sports in the world agree for pay equality. Australia Open – Australian open had several periods when they had equal prize money, first in 1985 and 1986 then 1991 to 1995 and finally in 2001 they created a mandate for equal pay for all future Australia opens. Roland Garros – French open begane prize money parity back in 2006, although since 1991 women were paid almost equal in prize money close to 95% of mens. Wimbledon – prize money parity started in 2007 but Wimbledon has been paying almost the same prize money for women within 90% of men tennis since 1977. So to answer the question whether Women should be paid less because they play best of 3 sets ? Yes, well at-least in theory considering with equal pay model, women are paid more than men if we take into account prize money per set. Men play 5 sets while women only contest 3. Taking wimbledon singles prize money into consideration for example men are paid £376,000 per set while women are getting as much as £626,666 per set. thats almost 50% difference. But there is a catch even in tennis, only the four grand slams are the one’s paying equal prize money because all the other ATP events pay significantly more to men. For example second tier ATP tour events pay somewhere betweem $50,000 to $6 million in prize money pool for men while second tier women tour events barely pay between $10,000 to $100,000 which is alot less compared to men. That is one of the reason why some of the top 75 women play so much tennis throughout the year. To make things worse some of the ATP event don’t even invite women for example Brisbane open which is held before the Australian open every year. So to keep women tennis on top, grand slam must continue to pay the same prize money because unlike the other major sports like Football/Soccer, cricket and golf women game is way behind men both in terms of quality and marketing ability. Of course Women tennis events were held separately then men competition the interest in women game will go down significantly. here are few reason why women tennis should get the same prize money as men. Going back from equal pay to paying women less might kill the women game. as far as the best of 3 and 5 sets argument is concerned, consider men as “greyhounds” and women as “dachshund” would you pay greyhounds more just because they can run 5 times faster ? See women are stretched in 3 set match and men in 5 sets if we make change there we might lose the quality of tennis. Tennis grand slams are the only major sport competition with equal prize money and if we take it down as well that will send a wrong signal and we should be doing everything to promote women sport and tennis prize money parity is sending out a positive signal around the world. If we take a look at career earnings of top 20 men and women tennis players you will see that men are getting more money anyway over the course of their careers. having said that I would love to hear your thoughts on this topic, first vote your opinion and also let me know your thoughts using the comments below.